I love this time of year. The weather gets chilly and the holidays start to come. There is no better time to get together with your kids to create some fun memories. Dexter adores spooky things and he completely understands the concept of Halloween this year. How fun for me! I was recently introduced to the Play-Doh Play Dates website and my oh my what fun there is to be had there! They have craft and snack ideas along with Play-Doh fun too! Right now they are geared up for Halloween and I learned how to make a jack-o-lantern with an orange. Do you want me to show you? 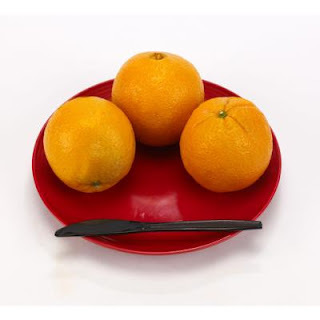 Cut jack-o-lantern faces into your child’s oranges. Be sure to save the rind pieces! 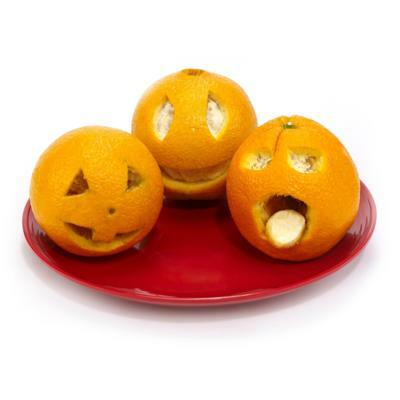 Finish your jack-o-lanterns by having your child use the extra rind pieces for details like eyes, tongues, noses and more! 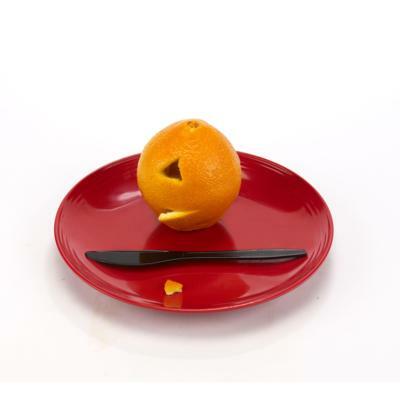 Now that you’ve worked up an appetite, you can enjoy your jack-o-lantern oranges. Now there is no way that you can say that these aren't the cutest little jack-o-lanterns ever. You could probably take it one step further and set it out of a bed of lettuce and make it look like a pumpkin patch. This would also be a great solution for picky eaters as this surely would make me want to eat my fruits and veggies. As you may or may not know, I am an elementary educator. I am highly-qualified through No Child Left Behind (NCLB) and I know a thing or two about what kids like. I also can wield a pair of scissors like no one's business! The craft section of Play-Dates featured a really fun, not-so-little, project called the Haunted House Playset. I happened to print off the template, cut it out and affix it to some cardboard. I can't wait for Dexter to come home and see it as I know he is going to shriek! He loves bats and ghosts and anything Halloween related. I think I am going to throw a couple of marshmallows in the center of it and have him tear them up and make ghosts out of them! 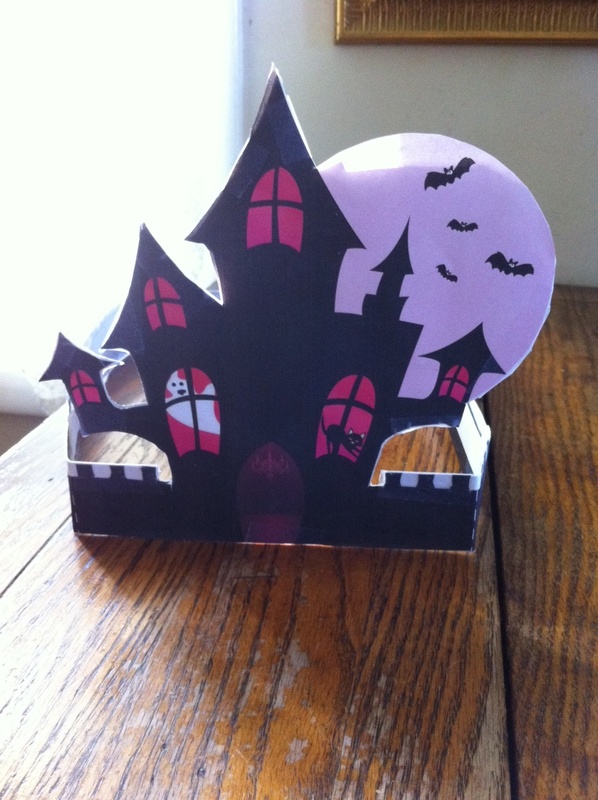 Check out my creation (which took me about a half an hour to assemble). I completely fenced in the backyard and I am also thinking it could be fun to build a little graveyard back there with cut off tongue depressors that are painted gray. We could write some cute little epitaphs on them and make it really spooky! The possibilities are endless. One thing that I know for sure is that Dexter will love playing with it. Whatever you choose to do with your kids whether it be the snack category or the craft section one thing is for sure: you are strengthening your relationship with your children. This will not only create memories for a lifetime but also it will build their self-esteem which will enable them to be better individuals! I've never heard of Play Doh play dates before! You can wield words as well as scissors! You must be a great teacher! I like your haunted Halloween ideas, too. When we were kids, we would have our own "fair" in the backyard, creating any kind of gory things we could imagine, and then have pretend fares for entering the fair and invite the neighborhood with a parade, banging pots and pans and cheering them to our fair!